Mac OS X Lion was the eighth edition of Mac OS X. Mac OS X Lion was a much-anticipated move by Apple satisfying almost all the growing demands of the Apple users. As we all know Apple is known for its premium quality products and world-class services and it did the exact same thing this time also. Mac OS X Lion was the eighth release of Mac OS X and it was fully loaded with some all new features and many updated services. So here we are with an insight on the apple’s most anticipated update and guess what……we’ve got free iso download links too. 1.AIR Drop Easy file sharing feature for sharing files between nearby computers with AirDrop Enabled. 2.All New Gestures Mac OS X Lion comes with all-new support for 2 and three figure touchpad gestures to give iPad feel to the Mac. 3.Full-Screen Apps The lion update comes with the feature of making almost everything full screenable. 4.Mac App Store Mac OS X Lion comes for the first time with the built-in Mac App Store with push notification support for app updates. 5.Resume Resume makes you save all apps’ sessions on the system and reopens on next start-up. 6.Mission control Mission control lets you sort your open windows by apps, which really really is very helpful as it eases your work and helps in switching over the open tabs or windows. 7. Mail Mac OS X Lion gave the Mac Mail the much-needed update “Conversations”. Conversations give a thread look by grouping messages. 8. Versions This cool new feature lets you save multiple versions of a document in the document itself and saves you a heck of the work. 9.Autosave As the name suggests your work gets automatically saved in the background…isn’t it cool? 10.Launchpad You can access all your installed apps with the Launchpad. What makes it cooler in Mac OS X Lion is that now Launchpad supports gestures too. Just a pinch of four fingers on your trackpad and there you go….! These were our ten picks for the new Mac OS X Lion but that’s not it. It comes with a lot-lot more cool features. Before we provide you with the download links for the Mac OS X Lion ISO files you need to know whether your Mac can have it or not! To start with here is a word or two you should know about the ISO files. 1. Software Name: Mac OS X Lion ISO image files. 2. Type of Setup: Offline/Standalone full setup. Now let’s take a look at the hardware the Mac OS X Lion demands. 4. 7 GB or higher free hard disk space. I hope that your system Qualifies for the update and you get to install Mac OS X Lion or something’s gotta be changed now. Now that you know that you’ve got what you need to install Mac OS X Lion, you should now be looking for the download links for Mac OS X Lion ISO. So without any further this that, here we present the download links for the Mac OS X Lion ISO files. most powerful and elegant Operating System in the current scenario. To experience what’s new in this upgrade all you need to do is to install it and start. You’ll spot the difference right off the boot loading. The Mac OS X Lion come for the first time with trackpad gesture control support, and it was highly appreciated/praised by the users. With this change, Apple is trying to match iOS and the Mac behaviour. The Mission Control also gained public attention and was highly appreciated too. But the main attraction or you can say that the whole spotlight was stolen by the AirDrop which became very popular among the users. For more convenience and proper assistance, you can watch the Mac OS X Lion Video Guide. It will guide you through the whole installation process. Today we talked about one of the most effective updates for the Apple’s Mac OS and a lot of information were shared all through the article. So to check that you didn’t miss anything, below is a brief index for the whole article. Introduction to the Mac OS X 10.7. Top 10 Mac OS X Lion. Mac OS X Lion ISO technical details. Mac OS X Lion ISO system requirements. Mac OS X Lion download links. 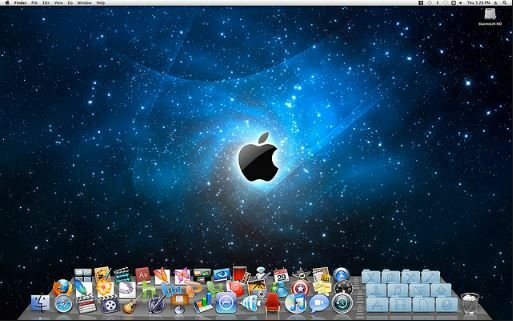 Mac OS X Lion installation guide with video support. Unnoticed. There were some cool great features while some were the pretty lame ones too. Overall it was a nice move by the Apple but things could’ve been more interesting. enrich us with your valuable feedback and suggestions.